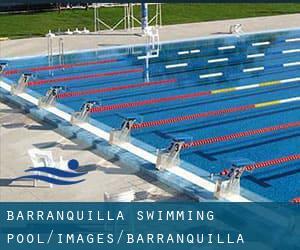 Before trying any pool, make sure you know the rules and regulations for varieties of Barranquilla Swimming Pool as they may not be the same as in your home town. We advise you contact the pool directly to ask when you will require a hat, and what form of footwear or certain clothing you will need. Do you realize of any Pools in Spain that should really be listed here? Contact us!. Please use the contact information supplied at every pool profile to check if they're offering aquagym lessons, considering that is just not so standard to see an Aquagym in Barranquilla. 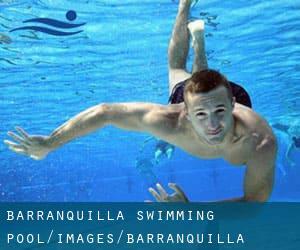 Regular users from the following varieties of Barranquilla Swimming Pool told us probably the most necessary thing about swimming is to control your breathing. Quite often this is not possible mainly because we raise the neck to breathe and also the body just isn't aligned. To avoid this, our head should really be aligned with our spine all the time. Swimming is really a sport for all ages. It helps young people to tone their muscles and grow healthy and strong. For the elderly, there's no much better way to exercise than acquiring a Barranquilla Pool to escape from every day routine. For Barranquilla and its vicinity, we're showing you all of the registered pools, some of them have no GPS coordinates and can't be found on the map at the map. Updated on 2019 Behind the Coliseo Humberto Perea , Barranquilla , COLOMBIA. Swimmers like you have reported Olympic size x 25 meters, 8 lanes, Outdoors. Also, you will find ~20 meters x ~20 meters diving pool, Outdoors. Just in case you want to contact this Pool before dropping by, we only know the phone number. Enjoy the best indoor pools in Barranquilla and don't worry about the weather. These facilities are open all seasons and you can enjoy a swim at the same temperature every day of the year. One on the benefits of outdoor swimming in Barranquilla is the possibility to sunbathe for the duration of the summer season. Taking it with extra care, sunbathing is wholesome since introduces Vitamin D into the body, so the best alternative seems to be switching between indoor and outdoor pools depending on the season. There are a few reasons why you should choose a heated swimming pool in Barranquilla. Probably the most necessary one relies on the importance of keeping the body temperature stable. When the water is as well cold, your body will try to warm it up and you will lose strength to swim appropriately.